JOIN OUR GENEROUS AFFILIATE PROGRAMME! If not already registered as a Digital Builder client, simply click the ‘Register Now’ button below. You should now be logged into your Digital Builder client area. Now Go to Affiliates – Affiliates Login or click ‘Affiliates Login’ button below. If you are not currently logged into your client account, you will be asked to fill in your login details. 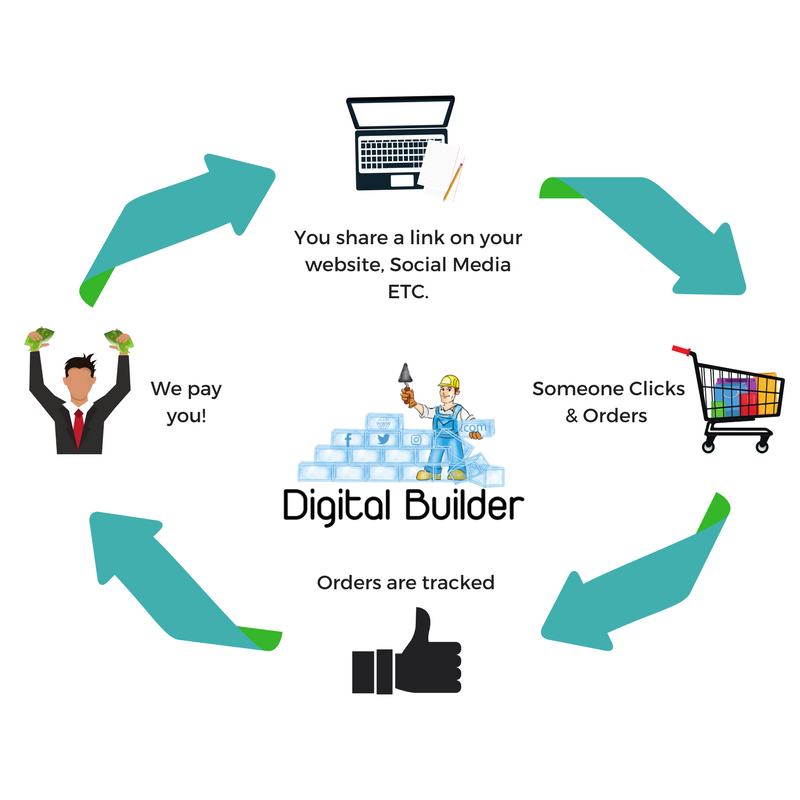 You will now be presented with your Digital Builder affiliate dashboard, here you can see your very own trackable affiliate link to share with your network. You can also use this area to track your affiliate statistics in real time such as clicks, signups, and conversions. You will also be able to see your affiliate balance and be able to make a withdrawal request if you have accumulated enough commissions (Minimum £50, Approx. $69). Withdrawals are processed every week on a Sunday. If you have any questions regarding our affiliate program, please feel free to get in touch via our ‘Contact Us’ page and we will be more than happy to help. Copyright © 2019 - Digital Builder - All Rights Reserved.